Here is what I came up with for making my version of this jig. 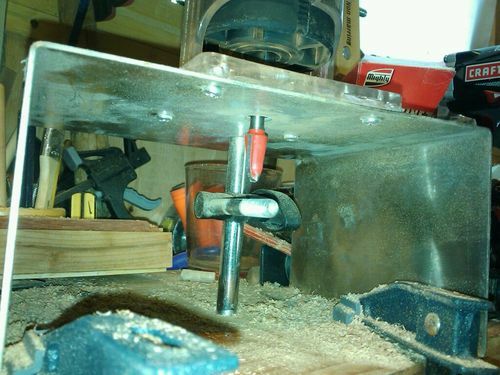 The box is stainless steel channel that can be clamped to the bench. I used an inexpensive Central Machinery trim router mounted to the top. Depth of cut is about an inch and a half but could easily be up to three inches by repositioning the bar. 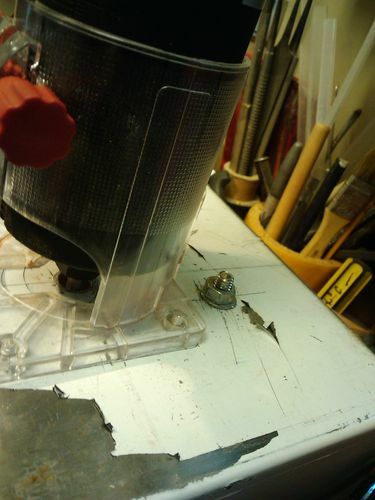 I had an old magnetic dial indicator base that I took the post off to make up the bar positioning assembly. One end of the bar post is threaded which I simply located with a hole in the box off center a couple inches behind the bit cut intersection . I then drill a 5/16” whole longer than my tenon length in the end of most stock. 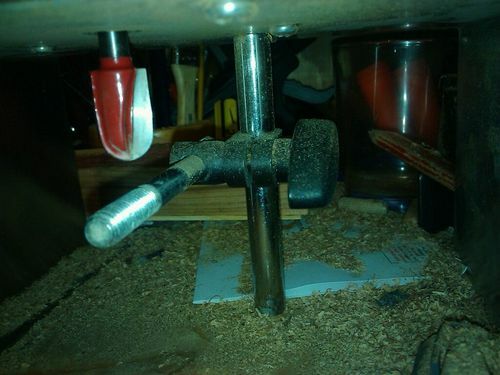 I can then adjust tenon to final diameter by adjusting bar or router height. 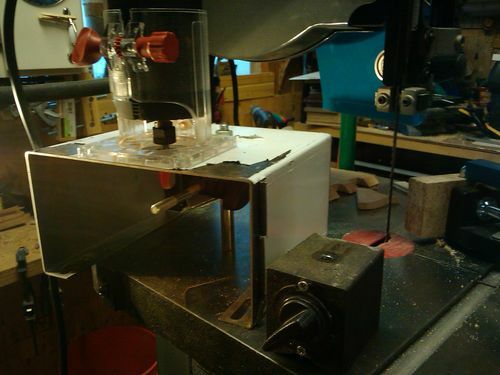 Flip the switch and feed the stock on to the 5/16” bolt turning as I cut down to the stop. I can easily chage bit type and profile with little repositioning. I will have to play with it to get a max capacity stock size/ tenon size dimensions. Can also do some tapering and bull nosing. 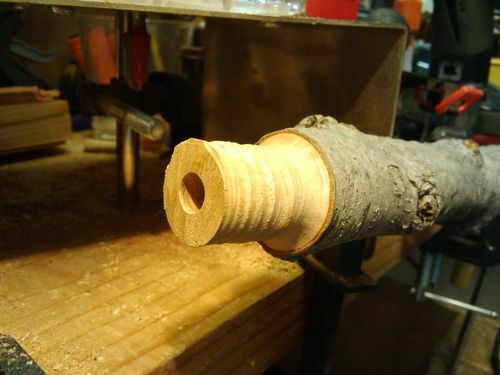 I can use 5/16” dowel to backfill the hole in the end grain. All things I had idly at hand, cherry branch from the yard. Thanks Jones for the stainless. I just love those little trim routers from HF. I have several jigs that I use them in and they’re so cheap that you can leave them in the jig and get another one.